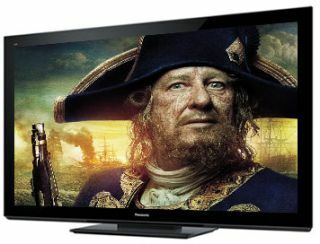 Panasonic finally issues update for 'green blob' plasma problem | What Hi-Fi? Panasonic UK has finally come up with a solution for customers who complained about a 'green blob' or tinge appearing on some of its plasma TVs. The issue first came to light in this thread on our Forums. It appears to affect some VT30 and GT30 models. "As you may already be aware, we are currently in the process of contacting customers that have been in touch with us about the phenomenon described as ‘green tinge/magenta noise’. "Where applicable, we will arrange for a software update to be carried out on the television by a Panasonic Approved engineer. "We would like to thank you for continuing to provide feedback with regards to this, both directly to us and on the forums. As a result of this, we have been able to work very closely with our factories to secure a panel update which significantly improves the ‘green tinge/magenta noise’ that some of you are seeing. "While only a small number of you are affected by this, we have been working tirelessly to obtain this improvement for you. It is also though, of paramount importance to us that any update we provide does not impact on the performance of the TV in any other way, so we have also, as is normal practice, carried out rigorous testing of the update. "Please note, this software is not available for customer download. It must be installed by a Panasonic Approved engineer. If the software is not installed correctly, the set may become inoperable. "If you are experiencing the ‘green tinge’ phenomenon and have not already contacted us, please do so using this webform: www.panasonic.co.uk/email ensuring that green tinge is in the message."